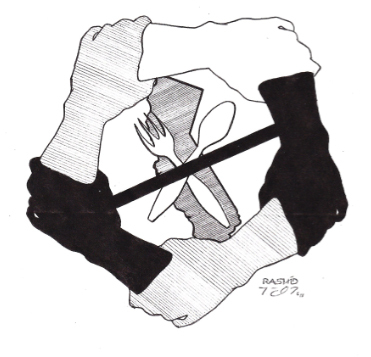 Hunger strike in the supermax Pelican Bay prisoners protest conditions in solitary confinement. “The only contact that you have with individuals is what they call a pinky shake,” said one prisoner. California - As Americans prepare to celebrate Independence Day, inmates in solitary confinement at Pelican Bay State Prison are standing up for their rights in the only way they can – by going on a hunger strike. The prisoners, who are being held in long-term and often permanent isolation, have sworn to refuse food until conditions are improved in Pelican Bay’s Security Housing Unit (SHU). When conditions at Pelican Bay were challenged in a 1995 lawsuit (Madrid v. Gomez), the judge in the case found that life in the SHU “may press the outer borders of what most humans can psychologically tolerate,” while placing mentally ill or psychologically vulnerable people in such conditions “is the equivalent of putting an asthmatic in a place with little air to breathe.” Yet since that time, the number of inmates in the SHU has grown, and their sentences have lengthened from months to years to decades. Hugo Pinell, a former associate of George Jackson who is considered by some a political prisoner, has been in Pelican Bay’s SHU for more than 20 years. In April, prisoners in several corridors of the SHU announced their intention, on July 1, to “begin an indefinite hunger strike in order to draw attention to, and to peacefully protest, 25 years of torture via CDCR’s arbitrary, illegal and progressively more punitive policies and practices.” In a notice authored by inmates Todd Ashker and Danny Troxell “on behalf of themselves and similarly situated participants,” the group of prisoners – which supporters say cuts across racial lines – issued five “core demands.” The demands are remarkable for having been penned by a group of prisoners whose communications with one another and with the outside world are severely limited. They are also far from radical. This drawing in support of the Pelican Bay Hunger Strike is by Rashid Johnson, a prisoner at Red Onion supermax prison in Virginia. In outlining their desired changes to conditions in the SHU, the strikers turned to the recommendations of the U.S. Commission on Safety and Abuse in Prisons, a bipartisan, blue-ribbon commission which issued a 2006 report on conditions of confinement in U.S. prisons and jails. Among its primary findings, the commission recommended that prisons “make segregation a last resort,” “end conditions of isolation” within segregation units and avoid long-term solitary confinement. Beyond this, the strikers want the CDCR to “provide adequate food,” and “provide constructive programming and privileges for indefinite SHU status inmates.” Among the modest privileges the prisoners want are one phone call per week, longer visiting hours, exercise equipment, art supplies, wall calendars and more TV channels. In preparation for the start of the strike on July 1, California Prison Focus and other members of the Prisoner Hunger Strike Solidarity Coalition hosted a rally and press conference in the Bay Area and issued an online petition. Among the groups expressing support of the strikers’ demands is the Prison Law Office, known for mounting the lawsuit that resulted in the recent Supreme Court decision mandating a reduction of California’s prison population. For updated news on the strike and communications from striking prisoners, go to prisonerhungerstrikesolidarity.wordpress.com, where this story can be found. Here you can also find the prisoners’ demands, why people should support the strike, how you can get involved, some history of Pelican Bay and Security Housing Units (SHUs), as well as some resources and more.